Once again, this Lincoln based fabricator has proven why they are the industry giants when it comes to creating and supplying outstanding products to their trade customers. Sternfenster has added a new StyleLine Flush Sash Window, which has already received industry recognition and has been nominated for numerous awards. This sleek new product is set to help trade customers capitalise within the ever popular and profitable timber alternative market. Meeting the requirements of local conservation officers just got a whole lot easier! Quickly becoming a favourite amongst homeowners and planning officers alike, the StyleLine Flush Sash Window masters function and form by combining an authentic look with exceptional performance. Designed for quality, it incorporates a seamless corner weld with flush external contours to ensure it looks superb in any setting, transforming both country cottages and modern builds like no other. This has allowed trade customers to upsell this revolutionary product to homeowners, who can see first-hand how the design would provide a classic yet modern touch to their homes. This stunning new product not only provides a unique yet attractive design, it also offers the best deal currently available in the market, at a competitive price from Sternfenster. So how has this northern-based fabricator achieved such a slick design? Sternfenster has ingeniously incorporated the Deceuninck Heritage Flush Sash profile system, which proved popular in the 2800 series. Adapting from this, they have used the pioneering, seamless Quad Welder from Graf Synergy, becoming the first UK fabricator to produce windows with a seamless finish of the sash and outer frame. This revolutionary welding process eliminates the grooving stage, resulting in no loss of PVC at the corner joint for an impeccable finish. An additional feature of this exciting new product is that there is no need to compromise on sash window size. 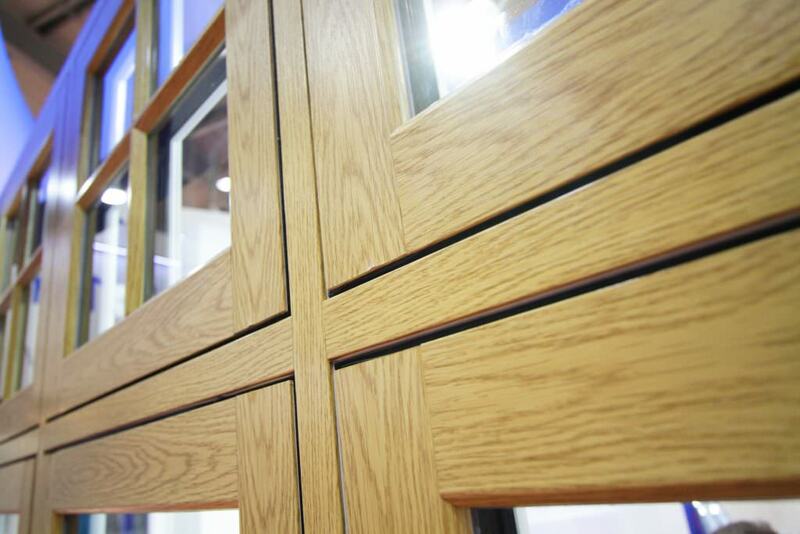 These windows can accommodate a wide range of apertures allowing trade customers to meet homeowner demands. This has made it even easier for tradesmen to meet the demanding expectations of customers, meaning more business and potentially more reviews. 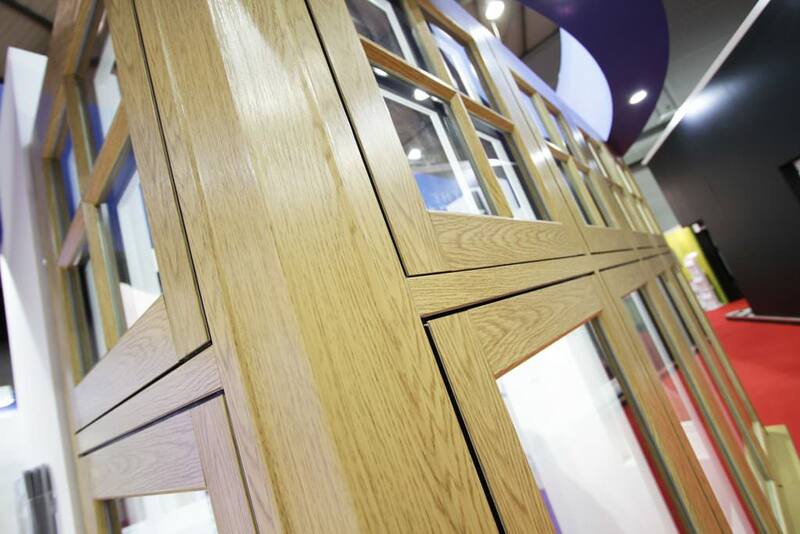 Sternfenster has understood that the market is evolving and has used its knowledge to design a product that performs in a class above the rest, whilst being competitively priced. Not only has Sternfenster ensured that the StyleLine Flush Sash Window has been manufactured to a superior standard, it has cleverly ensured it is available in 25 stock colourways. Complete with matching ancillaries, trims and accessories, this once again means that homeowners are provided with an outstanding choice, sure to suit their tastes and desires. Tradesmen can also benefit from shorter waiting times as Sternfenster has a highly efficient manufacturing process. This means quicker leads times, regardless of colour. 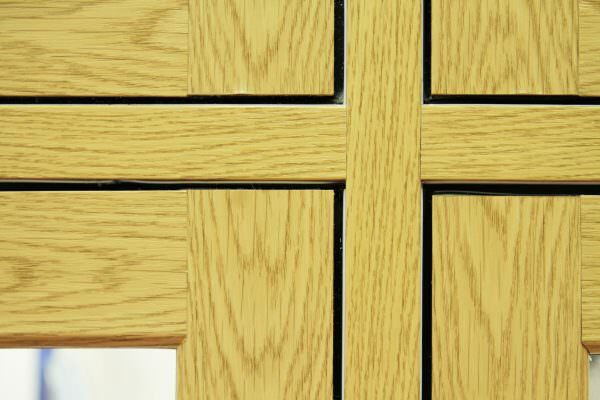 Furthermore, a fantastic range of beautiful authentic ‘wood-like’ finishes promises a long-lasting aesthetic with a 10-year manufacturer’s guarantee, creating the peace of mind and trust that so many homeowners need to make a purchase. Installers can also inform their customers that although the design is smooth, there has been absolutely no compromise on security. The StyleLine Flush Sash Window has a night vent locking position which gives secure ventilation as well as full hardware compatibility. This gives the StyleLine Flush Sash Window unrivalled security, something other PVC windows fail to achieve. Alongside the excellent support and exceptional products that installers enjoy when they work with Sternfenster, they are also given access to an abundance of great marketing material, making it even easier to demonstrate the unique selling points of the product in order to sell to potential customers. Sternfenster has also intelligently shortened the time-consuming process of locating this marketing material by creating a contemporary and easily accessed online media hub. Here, the exclusive marketing materials can be downloaded in one single, organised location. With A+ energy efficiency, PAS 24 security and an unrivalled standard of weather performance, this window truly is outstanding across the board. Sternfenster is also running an exclusive introductory offer, so there really is no better time to start selling the StyleLine Flush Sash Window. Offer your customers the best in class. Call Sternfenster today on 01522 512 525 or get in contact via our online contact form.